The treatment of back pain depends on its intensity and cause. Acute back pain usually gets better with treatment at home. Over-the-counter pain killers and heat or ice therapy can give relief from acute back pain. The matter of concern however is chronic pain – a pain that people in the past said that we have to ‘live with’. Thanks to the development in medical science, however, in recent years, researchers have come up with pain management therapies to treat chronic back pain and all other types of chronic pain. You can get chronic back pain treated in pain management clinics in Las Vegas. If you are experiencing back pain, do not leave it untreated and it can interfere with the healing process of the same and affect your immune system as well. Here we look at some approaches used by pain management doctors to treat chronic back pain. Pain medicine or pain management is a branch of medical science that deals with the study of pain, its diagnosis and treatment, its prevention and evaluation. It also includes the study of rehabilitation of various painful disorders. Help with the rehabilitation of the patient after the completion of the surgery etc. Pain management makes use of a variety of techniques to address not only chronic back pain but also all the other types of pain. Let’s have a look at them in details. Manual techniques – Chiropractic and massage therapy comes under this. Chiropractic involves the stimulation of the spine with the use of hands and is really effective in treating back pain. Pain can be dealt with when it is a mild pain. However when it’s a back pain even a mild pain can make you highly uncomfortable. Now as we know pain are of two types, namely acute pain and chronic pain, back pain can be acute and if not cured can lead to chronic pain which can be severe. There are several factors which causes back pain. An unsupervised exercise can cause you back pain. Pain Specialist says even if you simply crawling in bed for a good night sleep can cause you back pain, sitting at your office desk for straight 9 hours can cause you back pain, any simple chore of lifting something can cause you back pain. The injuries that are caused on our back or spine are not visible unlike bone injuries since the injuries are caused on the vertebrae, tendons, or ligaments. The more you sit and work the more pressure you put on your disks and vertebra. We work for nine hours straight and in these nine hours we tend to slouch and hunch to get more comfortable. What we don’t understand that we tend to hurt our back more and it makes our spine stiff and rigid and that causes injury to our back, thus causing back pain. It is advisable to walk around in between or take stroll on the office floor itself to get your tissues and tendons active. Pain management clinic Las Vegas states insists there are software’s and apps today that will flash on your screen from time to time to remind you of when to take breaks and go for a stroll or even stretch. You can program it as per your body needs. Once we are asleep it’s difficult for us to know in what position we are sleeping. Pain management clinic Las Vegas states we tend to sleep on our belly upside down and this effects our spine. Sleeping on our side or back will keep our spinal cord stretched out and nonaligned. While when we sleep on our belly that does not happen. If you want to sleep on your tummy try to slide in a pillow under our belly so that the disk bones should be in an aggravated position. It gives us immense pleasure to lie down on our back and get rest from the tiring day we have had. However lying down for almost a day can make your back pain more and can make you feel down or depressed. Pain management doctors says lying down for long can cause pressure on your lumbar spine. As per researchers it is advisable to be associated with any activity. These activates can be running, swimming, cycling. Now there are solution to these problems too. Just follow few simple tricks. Doctors states when you see by lying down your back is starting to hurt, hop out of the bed and do some light activity such as jog in one spot or stretch a bit. You can also apply the alternate hot and cold treatment. If still the pain persists, you can go to a chiropractor for muscle manipulation or you can have an acupuncture session. You can go for a cognitive behavioral therapy which will try to make you understand the mind and body technique which will help you cope up with chronic back pain. We suggest that Swedish massage therapy has also been very effective in these scenarios. It is not easy to deal with a pain and more so when it is a chronic pain. Pains are common and they are more common in lives of people who are active and are into a lot of manual labor or exercises. A serious pain can bring your life to a standstill and hence, it is important that you treat it before it comes too late. Pain management clinic offer you relief from pain by offering you the right pain management solutions. Most people resort to painkillers and this is vehemently opposed by pain doctors and other places as pain killers do more harm than good to your body. It is said that an American dies every 14 seconds due to painkiller overdose. Pain doctors make use of one or more of these to treat pain and give you relief with minimum or no side effects. The ones mentioned above are only a few of them. These pain management clinics offer more than 50 different therapies so that you can avoid a surgery and these therapies like Stem Cell Injections, Platelet Rich Plasma Therapy, and Physical Rehabilitation etc. have great success rates. These pain management doctors offer a wide array of pain management procedures as well like Facet Joint Injection, Medial Branch Blocks, Epidural Steroid Injections, Sacroiliac Joint Injection, Trigger Point Injections and many more. The choice of therapy depends on your intensity and location of pain. Most pain clinic and elsewhere have a team of health experts who specialize in treating different kinds of pain. They treat your pain and also offer you strategies those help you to manage your pain in the long run and avoid the same. Some pains can never be completed treated and the only solution for them is to manage them properly so that you lead a normal life to the extent it is possible. The team of health experts consists of doctors specializing in chiropractic, acupuncturists, physical therapists, physiologists and pain management doctors who specialize in invasive pain management therapies. They work together in putting together a pain management strategy for you tailored to meet you specific needs and requirements as far as your pain is concerned. Pain management doctors these days try and find the cause of the chronic pain and try to treat the cause so that you get permanent relief from the pain. It is not that they do not make use of opoids completely but they know where to draw the line. When the pain is unbearable, opoids offer immediate relief but they can never treat the cause. These pain management doctors make use of manipulations, chiropractic therapy and the likes to treat you and give you relief. For complete pain management solutions, visit your nearest Pain Management Clinic in Las Vegas. What is the celiac plexus block? The celiac plexus block is an injection into or around your celiac plexus nerves, which surround the main artery inside of your abdomen. These nerves are responsible for controlling nerve function and in some cases, they carry pain information from your abdominal organ tissues to your brain or spinal cord. What is the purpose of this block? The celiac plexus block is performed at a pain clinic in order to block the nerves which move pain signals to various organs from the abdomen. This can be done by pain management doctors in an effort to reduce pain inside of your abdomen. This is typically a pain treatment for chronic abdomen pain or chronic pancreatitis. How long does the celiac plexus block take to complete? Once your procedure begins, the process takes between ten and thirty minutes to be injected. What is injected into the body? With the celiac plexus block there is a local anesthetic injected into your body. In some cases the doctors might add a steroid medication or epinephrine in order to prolong the effects of the block. This procedure requires that a needle be inserted through your skin and your deeper tissues. So in this sense, there is some pain involved but the skin and the deeper tissues can be numbed using a local anesthetic that requires a thin needle prior to the actual celiac plexus block needle being inserted. In many cases, patients will receive an IV sedation which makes the entire process a much more tolerable one. Will a patient be “out” for this procedure? No, for the celiac plexus block there is not general anesthesia used but a local anesthetic. Many patients receive a mild form of sedation to make the process more bearable and the amount of sedation used is really based on the tolerance of the patient. Some patients may have adequate amounts of sedation that they only remember parts of the procedure, or none of it. How is this process done? For this procedure, at the Las Vegas pain clinic the patient lies on their stomach. They are monitored using an EKG machine with an oxygen monitoring device and a blood pressure cuff in most cases. The celiac plexus block is performed with sterile medical conditions. The skin on the back will be cleaned with an antiseptic and the skin will be numbed with the anesthesia. The x-ray is taken to guide the needle into the right position outside of the body. Once the needle is in place, dye is used to confirm that the injected medication will reach the appropriate area. Once this is confirmed, the injection will take place. The x-ray will be used to determine how effective the injection was. Once a sufficient area is covered, the process is complete. The needle is removed and proper coverings administered to the area of injection. What is expected after the celiac plexus block? After this procedure the abdomen may feel warm. There may be temporary weakness in that area, but after a few hours the pain will become decidedly less or may be gone entirely. Pelvic pain is always experienced in the lower part of the abdomen and pelvis. This condition is more common in women than men. In women, pelvic pain can be explained as symptoms that arise from urinary. Pelvic pain can be described as either dull or sharp; it might be steady now and again. Also, and it might be mellow, direct or serious. Pelvic pain can at times emanate to the thigh, lower back or thighs. Pelvic pain can occur abruptly, strongly, quickly, with intense and over a long period of time. Incessant pelvic pain alludes to any consistent pelvic pain that has been available for a couple of months or even more. Now and again, you may experience pelvic agony just at sure times, for example, when you urinate or amid sexual movement. What are the causes of pelvic pain? Pelvic pain can be caused by different diseases and conditions. In most cases, this disease develops as a result of more than one condition. This disorder may arise from urinary, digestive and reproductive system. 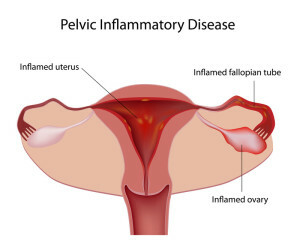 However, chronic pelvic pain arises from connective tissue together with muscles in the pelvic floor’s structure. There are also some instances when this disorder can be caused by nerves’ irritation in the pelvis. • Urinary tract infection and many more. What are the symptoms of Pelvic Pain? Pelvic pain is diagnosed by pain doctors though a physical examination. The doctor will examine your abdomen and pelvis. Then, a checkup of the organs, tissues and muscles will follow before suggesting the pain disorder you are suffering from. The information gathered from the physical examination will be used to determine whether there is a need for extra tests or procedures. • Pelvic ultrasound: this involve the use of sound waves when looking at structure and organs that within the pelvic region. What are the Treatment Options of Pelvic pain? 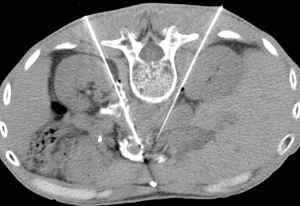 For a patient with multiple problem, the treatment of pelvic pain becomes complex. Therefore, specific and simultaneous psychological therapy are highly recommended. The patient should have a good relationship with the Las Vegas pain doctor. In addition, the patient should tailor the treatment of the pelvic pain. • Pharmacotherapy: This includes symptomatic abortive therapy, which stops or reduces the severity of the chronic pain. • Physical therapy: This includes the use hot or cold applications, massage, traction, manipulation, stretching exercise and transcutaneous electrical nerve stimulation. • Psychological therapy: This includes relaxation, reassurance, and stress management program together with biofeedback techniques. These kinds of treatments will reduce the frequency in addition to severity of chronic pain. Well, remember to visit the pain management doctors in Las Vegas if the pain persist so that you can get the recommended advice for the condition you may be experiencing. Joint injections can be used to reduce inflammation in your joints. They are injected into the site of the problem to offer faster relief. Prior to injecting your joint, your joint fluid might be removed for testing. If your diagnosis is uncertain testing will take place. The use of immediate injections can reduce inflammation while simultaneously helping to preserve joint function and joint structure. The use of a joint injection helps to avoid any need for increased doses of an oral steroid which is particularly beneficial because oral steroids in high doses bring with them greater side effects compared to a single injection. What are the potential side effects to joint injections? Joint injections remain one of the most effective ways to improve function and decrease pain in your joints but they will not cure or the illness. 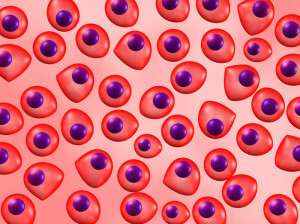 In some cases side effects such as local bleeding, allergic reactions, infection, or skin discoloration can take place. If repeated injections take place in the same joint it can cause weakness in the tendons, bone, or ligament. How often side effects occur, or if side effects occur at all, varies from patient to patient. The less frequently injections are used the less likely the patient is to develop any side effects. What role do joint injections play in a treatment plan? 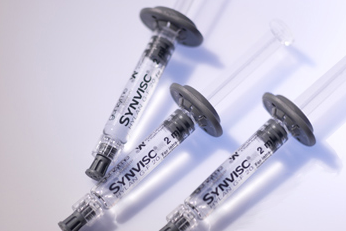 Joint injections can be an additional component to a treatment program for pain management. Typically they are used in conjunction with anti-inflammatory medications, occupational therapy, pain medications, physical therapy, or supported devices like a brace or a cane. It is the nature of the problematic condition which affects whether one of these treatment methods is more successful than another. Someone, for example, suffering from tendinitis who is otherwise healthy could be adequately treated with a single joint injection. However, someone who suffers from regular rheumatoid arthritis may require regular joint injections as part of their multifaceted treatment program. Having shots in your shoulder, hip, knee, or SI joint can reduce inflammation without upsetting her stomach like many pills. What is expected during a joint injection? Many joint injections will be done in a Las Vegas pain clinic doctor’s office. At the onset of your appointment the doctor will cleanse your skin using antiseptic. If your joint is full of fluid the doctor may need to remove any excess fluid with a needle. This will relieve some of your painting immediately because excess fluid in your joints increases pressure which increases pain. By removing any excess fluid he can also expedite the healing process. After this the Las Vegas pain clinic doctor will use a syringe to inject the steroid into your joint. Because the steroids are often mixed with painkillers the relief is instant. Within the next few hours the injection will curb inflammation in your joint. This relief typically lasts between several months all the way down to several weeks. Injecting large joints like your spine or your hip is a bit more complex and as such the doctor may need to use imaging technology to better guide the needle into the exact place.